Santa Lucia Murari Borba was a farmer's daughter from Murari's Borba, born in Italy 1904. 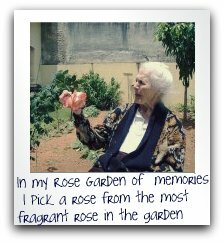 She moved to Brazil in 1917 from her home in Tuscany where she had to learn to make soap from scratch and essential oils from the plants out of necessity. You'll instantly notice the quality by the moisture-rich, penetrating lather that leaves your skin feeling soft, silky and pampered. You are going love our goat milk soap. The generously-sized,. bars are handmade using our own recipes and made from small Grandma's old fashioned style. Not only do these goat milk soaps look good - they are great skin cleansers. The rich lather that they produce is remarkably gentle on your skin, and they smell fantastic on top of all of that! Many people with eczema, psoriasis, acne, extra dry skin, oily skin, combination skin, or sensitive skin find using goat milk soap beneficial. Our goat milk soaps are famous for their high-quality natural ingredients and its 100% fresh goat's milk, not dried powder milk. This soap is made with goats milk and coconut milk , both are a natural, soothing skin cleanser and moisturizer. We add oatmeal which calms irritated skin and honey which adds moisturizes to the skin. Coconut-oil infused soap moisture's the skin. It's delicate, non-oily, and sweet-smelling as a tropical breeze. We use fresh creamy goats milk made from farm fresh local milk. We never use powdered goats milk or water. Goat milk is rich in proteins, vitamins and minerals. Its gentle and nourishing properties bathe your skin in luxury. The oatmeal naturally exfoliates your skin, leaving you feeling refreshed and silky soft. Features:Goat's Milk Soap reduced alkalinity results in a pH level closer to healthy human skin. We combine Coconut milk with fresh goat's milk . Goat's Milk Soap reduced alkalinity results in a pH level closer to healthy human skin. We combine *Coconut milk with fresh goat's milk . Hello, my name is Donna,I purchased your product about eight weeks ago and I am hooked. I am so pleased with my skin,its amazing to see the transformation. I had acne on my face and chin and they are almost cleared I even let my niece try some of the soaps and she loves it too..
One major problem with those mainstream acne treatment we have today such as benzoyl peroxide, zinc, Accutane and so on, is that those treatments all cause some harsh side effects to our skin. first I was very concerned if Goat's coconut soap was going to work for my son. We have tried a lot of stuff including Pro Active. My son is 15 years old,has been breaking outs since he was 12 , his self esteem was really low, nothing was working.... I came across amazon.com for goat's milk and read about yours products and thought the price was great so why not. *IT IS WORKING I am one happy mom because I have ONE HAPPY SON. Thank you so much." 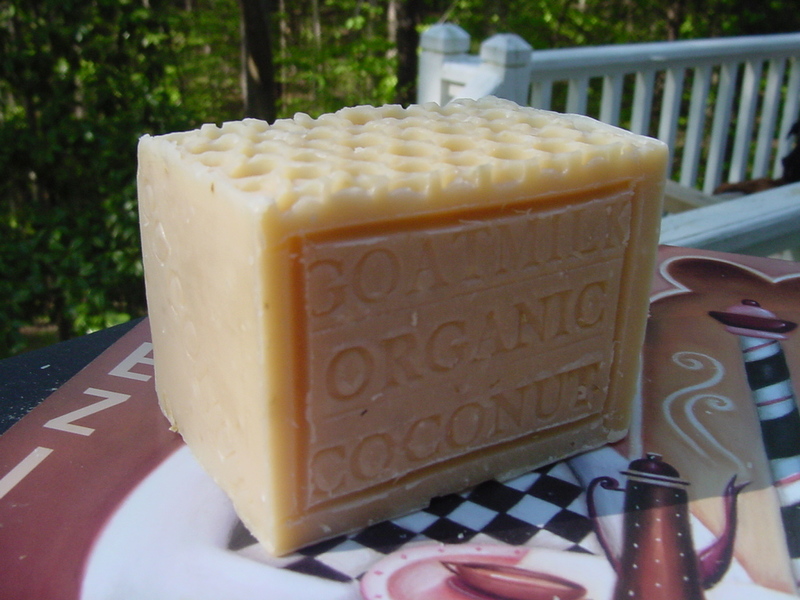 exellent and I give a plus for this Goat milk soap with coconut and honey. *****Excellent selection of natural handmade goats milk and soap products in a variety of scents or unscented. Their's natural handmade soap made from goats milk are extremely effective and gentle to my skin. Whether you are looking for handmade goats milk soap,this soaps contain skin safe ingredients. *****Goats milk is also great for your skin because has wonderful natural moisturizing properties because it is rich in vitamins, minerals, lipids, & proteins. Goats milk feel and will leave your skin feeling very soft. This handmade goats milk soap contains a large amount of goats milk in each batch, as well as other rich moisturizing oils such as Coconut oil, Palm Oil, Palm Kernel Oil, and Shea Butter.This goat milk Specialty Soap has other exotic oils added to them to make them very special for you. In some of goats milk soap their have oatmeal, honey, beeswax ! I believe that goat's milk is a healthy alternative to traditional milk products . Take time to look around - Their have a variety of handmade goats milk soap, for you to choose from. 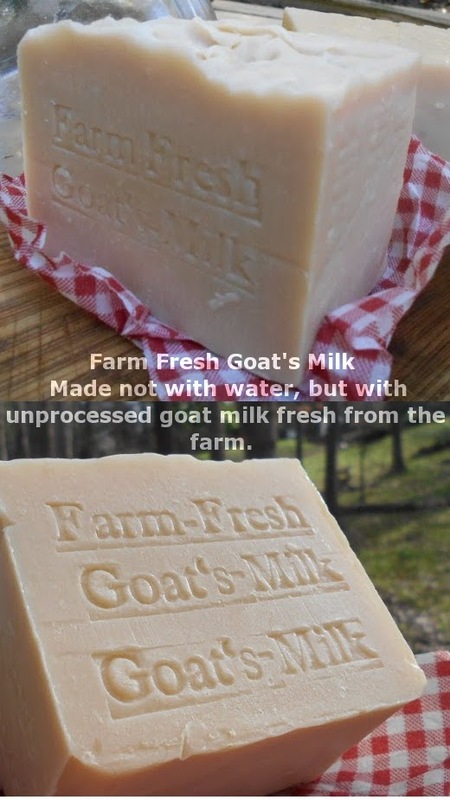 *****When I start to oder this goat milk soaps I was trully amazed of the ingredients their used. Handmade Soap: What you should know about it ! What's wrong with the stuff I can find at my local grocery store? If you buy the soaps you'll find in the grocery store and read the ingredients you'll find things like etidronate potassium chloride or how about cetyltrimethylamoniumbromide (what a mouthful!). Do you really want to use that on your skin? Many of the commerically available bars are not even soap, they are detergents. Detergents are great cleaners for your laundry, or your dishes, but not for your skin (Not so good for the environment either). The reason is that detergents clean by stripping away the oils which hold the dirt, and therefore they are very drying to skin. 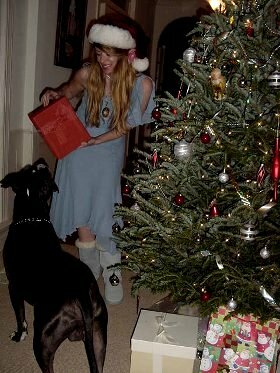 What's right with the handmade stuff? Most handmade soap is made with vegetable oils like olive oil, coconut oil, and palm oil. It has extra oil added which stays on your skin to moisturize it after the soap is rinsed away. It also contains glycerin, a byproduct of the chemical reaction that produces soap. Glycerin attracts moisture and holds it so your skin can absorb it. The large manufacturers that do make real soap usually separate out the glycerin and sell it separately to make the lotions and creams you'll need after drying out your skin with detergents. Goats milk has vitamins and minerals to nourish your skin and it has lipids that help seal in moisture. Goats milk soaps are close to the same pH level as our skin and are therefore more gentle. Why goats and not cows milk? All kinds of milk can be used in soapmaking, but goats milk has more vitamins and minerals than cows milk, which is great, but the reason it's better for soapmaking is the structure of it's fatty acids (complicated chemistry stuff). Simply put, it combines more smoothly to make a creamier soap which produces a rich, thick lather. If you like great lather a goats milk soap is the one for you! Oatmeal has been known as a skincare star since ancient times. Not strait from the carton though. You need to grind it very fine. Ground oatmeal actually binds to the skin and holds moisture there, helping the skin absorb the water. If you have skin problems (dry, red, itchy, scaly,etc) a 100% natural, perhaps unscented soap with ground oatmeal is a good choice. Scent is the most important ingredient for some soap buyers. I've had people buy soap just to make their bathroom smell good. That's great but they need to use it in the bath or shower too. Soap can be scented with either a natural essential oil or a fragrance oil. Essential oils are concentrated liquids extracted (usually by distillation) from a plant. Fragrance oils are blended synthetic aroma compounds or natural essential oils or a combination of both. For a soap to be labeled Natural it will usually be scented only with essential oils. But just because it's natural doesn't always mean it's safer than fragrance oil. Some essential oils come with safety warnings. And some essential oils are just too expensive to use in soap making. A half an ounce of sandalwood can cost around $100. Or rose, which is a very popular scent can run you $400. (Yips!) So many soap makers will use both essential oils and fragrance oils in their different selections. If you are not sensitive to fragrances, choose whatever smells nice to you. But if you have problems with fragrances you should read the ingredients carefully and make an informed decision. All good soapmakers will list their ingredients on the soap labels and on their websites. Someone needs to invent a way for us to smell things on the internet! Color makes soap prettier, but doesn't contribute any skin care benefits. Powdered material from plants can be used to color soap, dyes can be used, or ground mineral pigments can also be used. It adds a light, warm, sweet scent, a bit of extra lathering, and is a humectant (a substance that draws moisture from the air). Clays have been used since ancient times for masks and skin therapy. They have a slight exfoliating effect and they draw oils and impurities from the skin. A clay mask can unclog the pores and stimulate blood circulation. In soap making clay are most often added to facial and shaving soaps. Except for Koalin, sometimes called white clay, they are slightly astringent since they do take oil away from the skin. A soap with french green clay added would be a good choice for oily skin. Herbs are added for color, for healing properties, and just for added decorative interest. There are too many herbs that can be used in soap to list here. If you are interested in a particular one I suggest the website on herbs in the links section. Some sites near and dear to me. 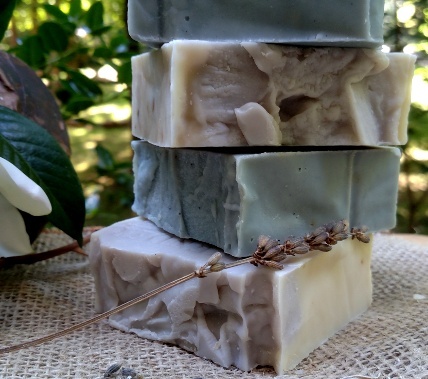 Natural Soap Artisan Handmade Handcrafted - Natural Handmade Soap Bars. This wonderful soap is made with almost all palm oil and Shea Butter for a extra rich lathery bar of soap, with the addition of shea butter it makes it even a more creamy bar of goodness. Our soap is handmade using the cold process method. Each batch is made from scratch using raw ingredients the old fashion way. Our bars retain their natural glycerin and each batch contains a high portion of Shea Butter and Oils. 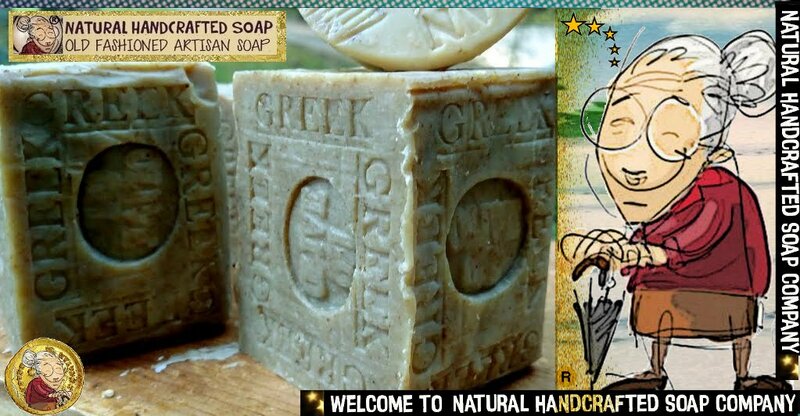 natural handcrafted soap are not made from a base. All our bars cure for a minimum of 6 weeks so they are gentle and hard. True soap made the old fashion way, hand mixed, hand poured, hand cut. All our soaps are handcrafted and we only use high quality of oils and NOT PERFUME - just essential natural oils from the plants. High Quality oils including Shea Butter . Made from scratch the old fashioned way, Hand mixed, hand poured, hand cut.